Visit La Savane des Esclaves and St. Louis Cathedral for their historical value. 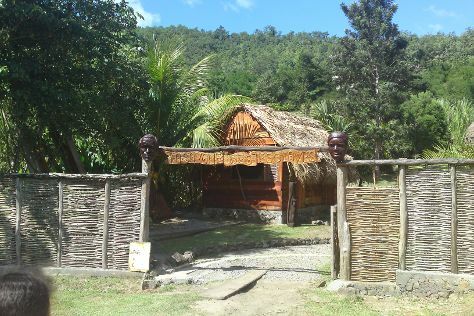 Do some cultural sightseeing at Habitation Clement and Anse Ceron. You'll find plenty of places to visit near Fort-de-France: Les Anses d'Arlet (Anse Noire, Petit Anse, & more), Le Marin (Scuba & Snorkeling & An Mao The Legacy of Ancestors) and Sainte-Anne (La Pointe Marin, Grande Anse des Salines, & more). Spend the 15th (Mon) exploring nature at Parc Naturel Regional de la Martinique. Next up on the itinerary: identify plant and animal life at Presqu'ile de la Caravelle, see majestic marine mammals with a dolphin and whale watching tour, get lost in a book at Schoelcher Library, and contemplate the long history of Chateau Dubuc. To see photos, maps, where to stay, and tourist information, read Fort-de-France trip planner . If you are flying in from United Kingdom, the closest major airport is Martinique Aimé Césaire International Airport. In July, daily temperatures in Fort-de-France can reach 36°C, while at night they dip to 29°C. Wrap up your sightseeing on the 21st (Sun) early enough to travel back home.